Holy Week road trips come in all shapes and sizes. For some, the few days off from work are a chance to escape the hustle and bustle of Metro Manila towards greener (and hopefully less congested) pastures. For others who choose to stay behind, the eerily empty roads are much easier to traverse and navigate during this time. The open roads make it much easier, then, to do a Visita Iglesia run. 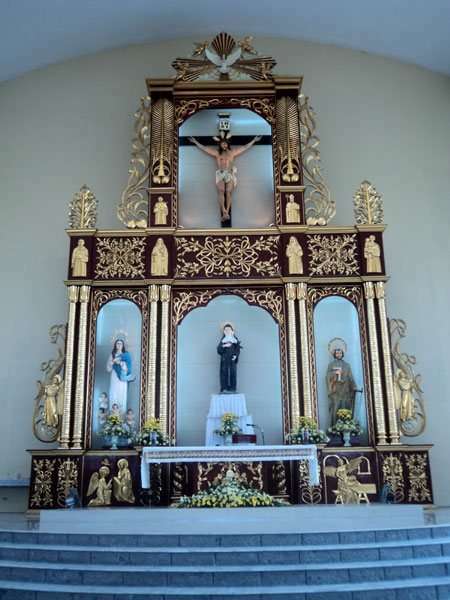 There are different ways to participate, but the crux of the age-old tradition is that you visit at least seven churches either in one day or across Holy week (before Easter) to say a few prayers. 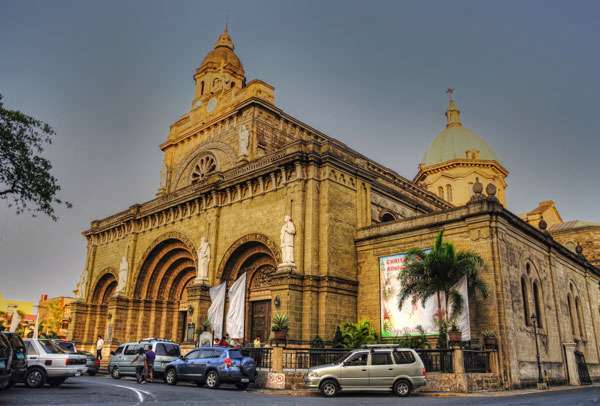 To make your Holy Week easier, we’ve put together this sample Visita Iglesia itinerary for Metro Manila that you can drive in just one day. You’ll start from the hills of Antipolo and work your way down to the Catholic epicenter in Manila. Buckle up! Founded in 1632 and rebuilt after World War II, this church high up in the hills of Antipolo is a great place to start your trip. Not only is its design and architecture impressive, but the drive up and down Rizal is a sightseeing tour in itself. Down from Antipolo and just off Marcos Highway is this church in Marikina. In it is one of the shrines of the Virgin Mary that has been venerated as miraculous, and has received Papal recognition as well. 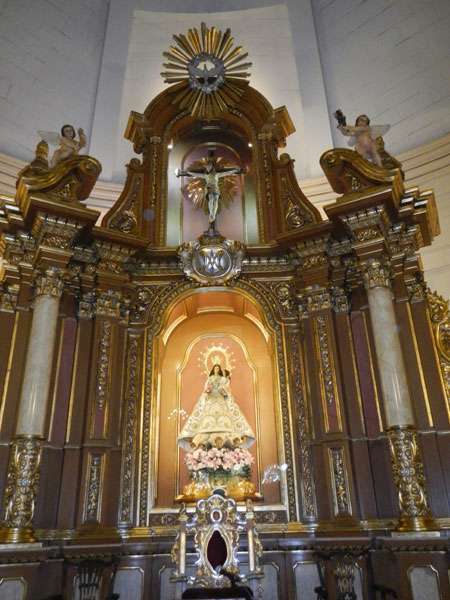 One of the reported miracles attributed to this Parish is from World War II. A Japanese bomb landed nearby that could’ve leveled the church, but somehow never exploded. As you move from the East towards the South of the metro, you’ll come across this somewhat hidden gem in the heart of Pasig. In addition to the sizeable church, there’s also the pretty 700 Fountain of Hearts just outside. 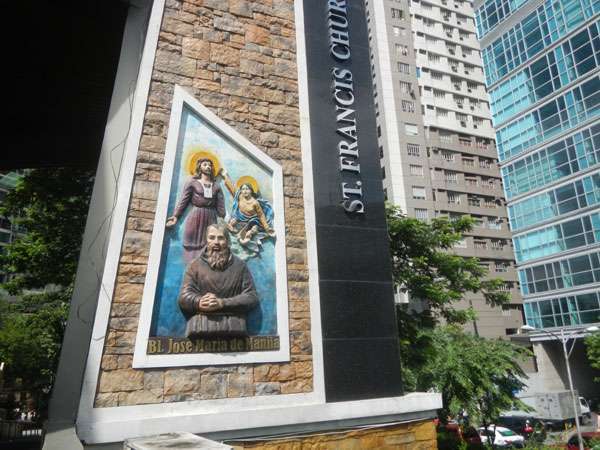 Moving further South, just off Shaw Boulevard in Mandaluyong and across from EDSA Shangri-La is the St. Francis of Assisi Parish. The church itself is located at the Lourdes School of Mandaluyong grounds, up a steep driveway. Downstairs, there are prayer and candle rooms available for quiet reflection. 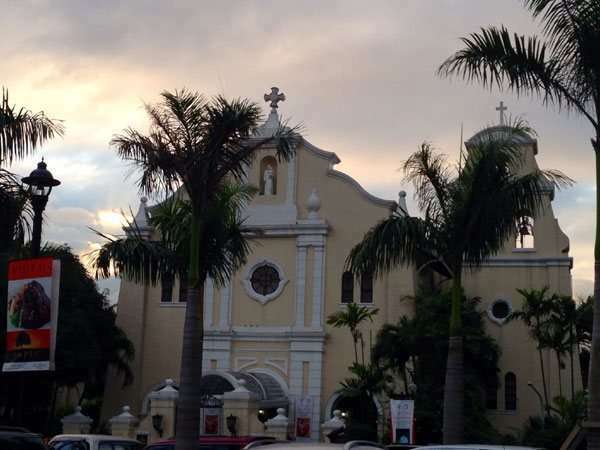 The Santuario De San Antonio Parish was built after the original church in Intramuros was destroyed in World War II. Given that it’s summer, this stop is a short breather from the hot weather outside. The church, which is next to Forbes Park in Makati, is air-conditioned. 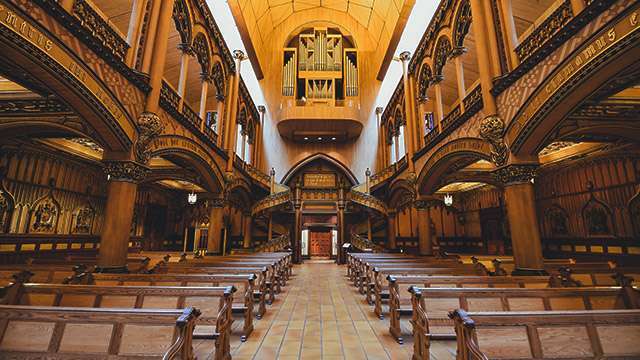 That aside, the church’s solemn atmosphere is also a reprieve from the more crowded venues on this list. 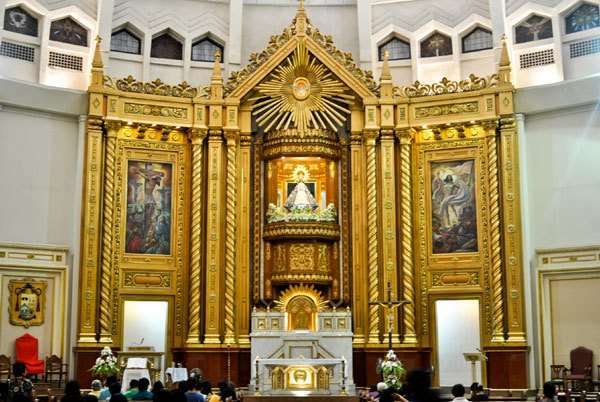 Moving on from Makati, your last stops will be the central hub of the capital’s Catholicism. 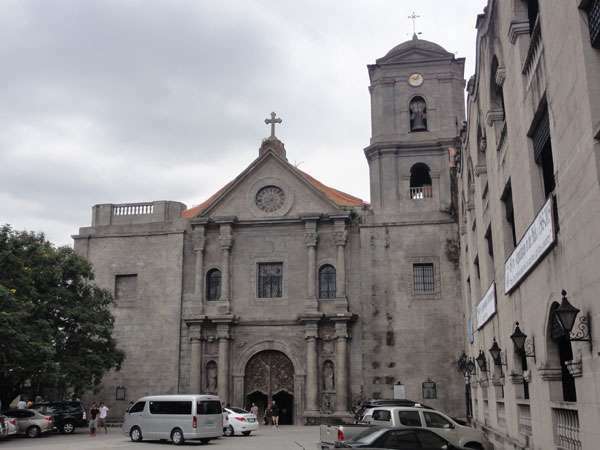 You can park somewhere nearby the Manila Cathedral, and proceed on foot until the last stop at San Agustin. Not only are the churches themselves beautiful to look at, but there are also many shops and stalls set up around the area. You can stop for a stick of fishball between visits, or buy some snacks for the trip home.